Machine learning algorithms play a vital role in the prediction of an outbreak of diseases based on climate change. Dengue outbreak is caused by improper maintenance of water storages, lack of urbanization, deforestation, lack of vaccination and awareness. Moreover, a number of dengue cases are varying based on climate season. There is a need to develop the prediction model for modeling the dengue outbreak based climate change. To model the dengue outbreak, Gaussian process regression (GPR) model is applied in this paper that uses the seasonal average of various climate parameters such as maximum temperature, minimum temperature, precipitation, wind, relative humidity and solar. The number of dengue cases and climate data for each block of Tamil Nadu, India are collected from Integrated Disease Surveillance Project and Global Weather Data for SWAT Inc respectively. Local Moran’s I spatial autocorrelation is used in this paper for geographical visualization of hotspot regions. The outbreak of dengue and its hot spot regions are geographically visualized with the help of ArcGIS 10.1 software. The day wise big climate data is collected and stored in the Hadoop cluster computing environment. MapReduce framework is used to reduce the day wise climate data into seasonal climate averages such as winter, summer, and monsoon. The seasonal climate data and number of dengue incidence (health data) are integrated based on the geo-location (latitude and longitude). GPR is used to develop the prediction model for dengue based on the integrated data (climate and health data). 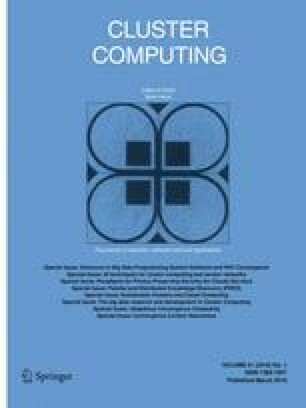 The proposed Gaussian process based prediction model is compared with various machine learning approaches such as multiple regression, support vector machine and random forests. Experimental results demonstrate the effectiveness of our Gaussian process based prediction framework.